Let’s be honest, the typical fancy dinner then catching a movie routine is getting a little clichéd. 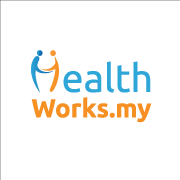 However, rest assured, we here at HealthWorks are advocates of doing things out of the box that are not only fun and health-oriented but will enlighten your life too! So take your Valentine’s date to the next level with these 30 awesome dates! To couples who love to eat and explore eateries together, why not take cooking lessons this V-day? After that, you can take turns to cook for each other! Moreover, couples who do house chores together will tend to feel happier in their relationship . Also, been café hopping a lot lately? Try joining the coffee workshops we’ve found to help you in your future café excursions! You’ve probably heard about coffee’s many health benefits, so we won’t elaborate. Learn about the origins and types of beans that go into your cuppa in this one and a half hour class at the Universita Del Caffe Della Malesia. You’ll get to learn to make your own latte too! 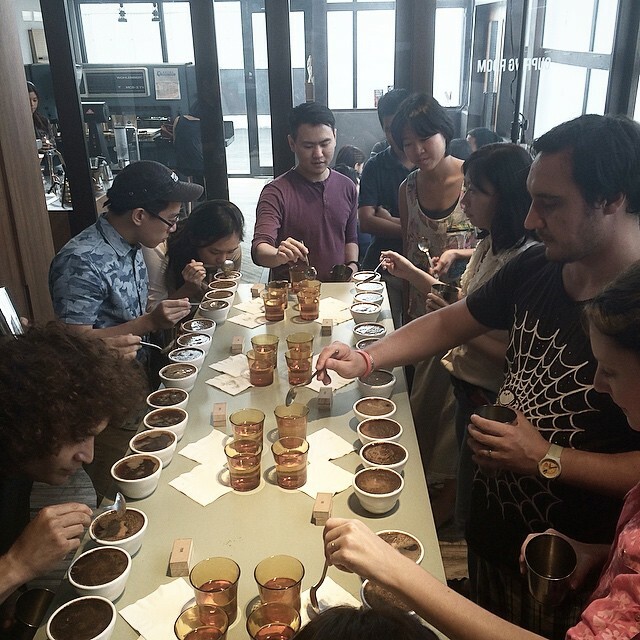 Held every Friday, 5pm at Pulp by Papa Palhetta, the cupping workshop teaches you how to identify the flavor profile and aroma of brewed coffee to buff up your coffee knowledge! Head to a small gig, concert or an orchestra and let the music do the talking! According to research, music is very beneficial to our physical and mental health . Also, sharing your music taste with your partner will definitely bring you closer and makes impromptu sing-along sessions in the car all the more fun! 4. Rock it with Slash! Legendary Rock guitarist, Slash is landing at our shores on this coming Valentine’s Day for his World on Fire tour featuring Miles Kennedy and The Conspirators at Surf Beach, Sunway Lagoon! Despite its not so charming repertoire, rock music is actually good for your brain  so put your worries away and rock on! That certain something is definitely worth a look! Organized by Minut Init Studio Galleria in their underground art space, this event will showcase the abstract nature of love through art and musical performances from Raksasa, Zalila Lee and more. 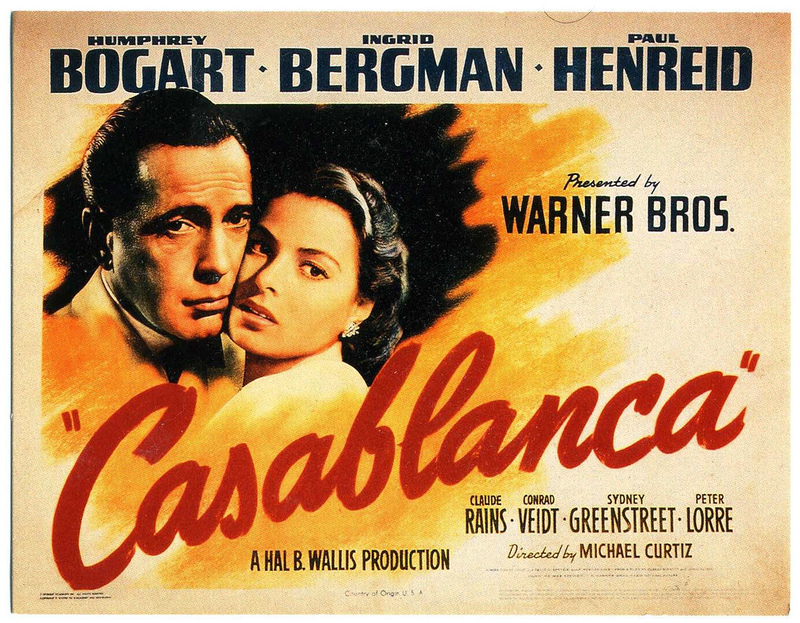 Watch this 1942 American romantic drama movie while the film’s music will be played alongside live by the Malaysian Philharmonic Orchestra. Creating arts and crafts actually helps you to express your emotions better and feel more positive . So bring out your inner Van Gogh and crafty fingers to profess your love and create some new memories with your partner through art! With a small fee of RM30, you are given your own canvas to paint anything you want with the paint supplies provided at The Refinery. Maybe you could paint a Picasso inspired portrait of each other and hang the completed artwork in your home! 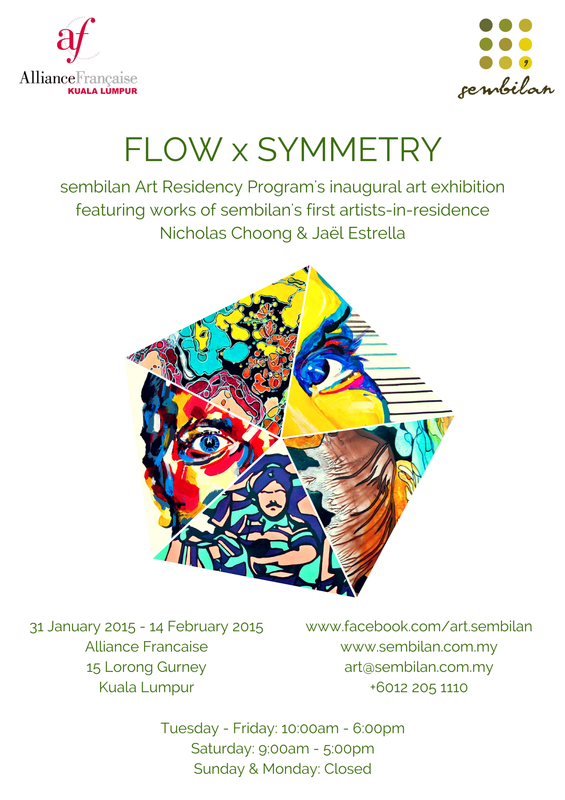 Learn the intricacies of sketching in this two-hour workshop in conjunction with ‘Flow X Symmetry’, an exhibition created in collaboration between talented artists Jaël Estrella and Nicholas Choong. The workshop will be hosted by Alliance Francaise de Kuala Lumpur and sembilan on 14th Feb, 2015 at 3.30pm (Price: RM25). You’ll find classes at the Malaysia Institute of Art Centre and you’ll also get to bring home your handmade clay work for brag points! Learn more here. Bring a small piece of nature into your home by making a terrarium! 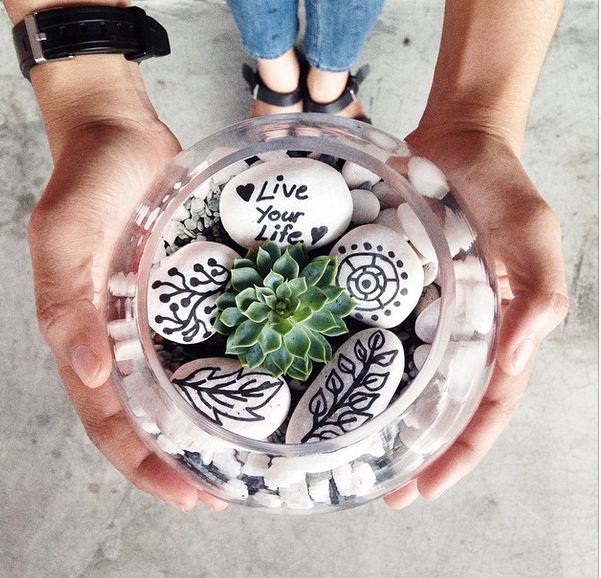 Tiny Forest, a brainchild of famous singer Yuna, is where you can go customize your own terrarium. It’s low maintenance and it helps to improve the air quality indoors. Visit the Royal Selangor Visitor Centre where you and your date can hammer your own pewter dish at The School of Hard Knocks or create your own pewter accessory at The Foundry. It’s a great way to get matching couple souvenirs! Discover more about experimental art at this exhibition in Findars art gallery which is showcasing works from Goh Lee Kwang and Ayesha Keshani (UK) where they bring natural outdoor elements indoors, as part of the Switch ON Mini Fest 2015. Both of you can go on any kind of adventures, be it a marathon, hiking and extreme theme parks, as long as you have each other! Also, a little healthy competition will not only push you to work harder but also, increase your emotional bond ! 13. Head to Jump Street Trampoline Park! 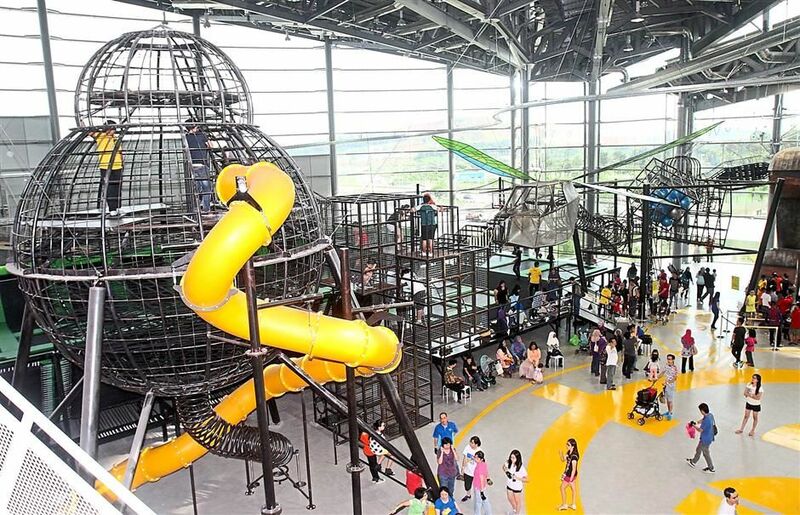 Get your hearts pumping as you bounce around the interconnected trampolines in Malaysia’s first indoor trampoline park! Bouncing on the trampoline for 10 minutes is almost the same as running for half an hour so you’re also getting a cardio fix while having fun ! We’ve got you covered on the most breathtaking hiking trails here! To make it more romantic, try to reach the peak before dawn to catch the sunrise together. This apocalypse themed action filled theme park is the perfect place for couples who love rock-climbing, cycling, and would like to fly Superman style along sharp turns of pipelines at the Roller Glider! Expect special pit stops such as photobooths, a wishing pond and many more in this 3.5km fun run! 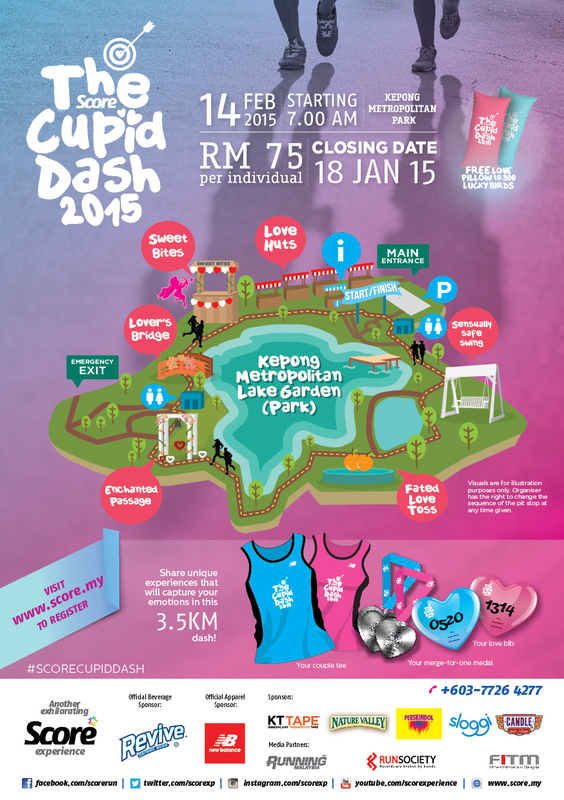 Not only will you get couple race singlets upon signup, you will also receive heart-shaped finisher medals too! Talk about ooey gooey romance. Details here. Be one of the 40 couples that’ll take on this challenge to bring awareness to the conservation of sharks. The #VDAY2015 program is jointly organized by online wedding portal, Wedding.com.my and non-government organization, WildAid Shark Savers Malaysia to make people pledge to not eat or serve shark’s fin for wedding dinners. Go for the Taster Class which is held every Tuesday in Sid’s Pub, Bangsar South first to get a rough idea on swing dance moves. Once you’re hooked, you and your partner can enroll for the beginner classes and go for swing socials together! 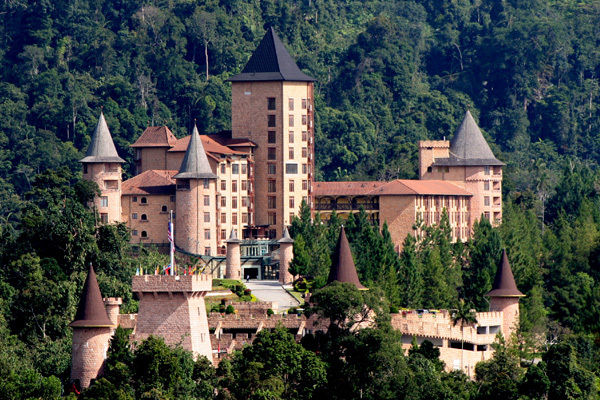 Go on a retreat or just head to a nearby spa to unwind with your plus one on the special day. Getting couple massages helps to improve your intimacy and reconnect with each other. Take the Royal Couple Hammam package and have an exotic experience as you and your partner enter a Moroccan traditional bath house where you’ll be scrubbed, massaged and soaked in natural ingredients such as argan oil, henna and more. 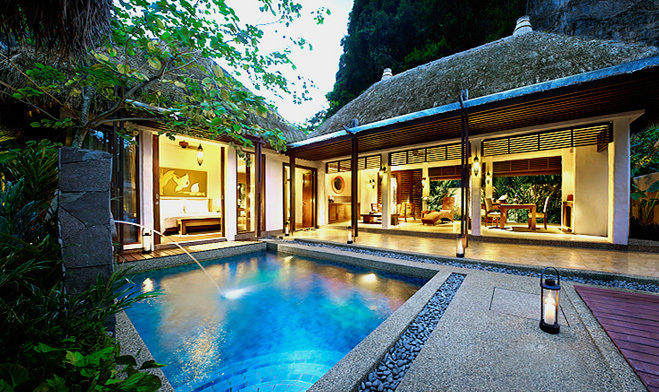 Take a couple’s retreat and pretend you’re royalty at the world’s first organic wellness spa resort where you’ll be pampered to the fullest with spa treatments, organic meals, fitness and wellness sessions and even a relationship enhancement counseling. See packages here. Dip into the Natural Geothermal Hot Springs to relieve all the tension from your bodies then visit the Crystal Cave and other wellness dens located around this retreat to come out more rejuvenated than ever! Hit the rails and watch as the scenery changes from the bustling city to the quiet countryside that you’ve seldom stopped to admire before. Not only is it more eco-friendly, you don’t need to worry about traffic so you’ll be less stressed and you can explore new places by just hopping off at any train stop! More commonly known as the East Coast or East and South route, take the day train that will depart from Gemas to Tumpat and vice versa, passing through jungles, quaint villages and small towns. You could do a pit stop at Gua Musang to go caving if you’re keen! 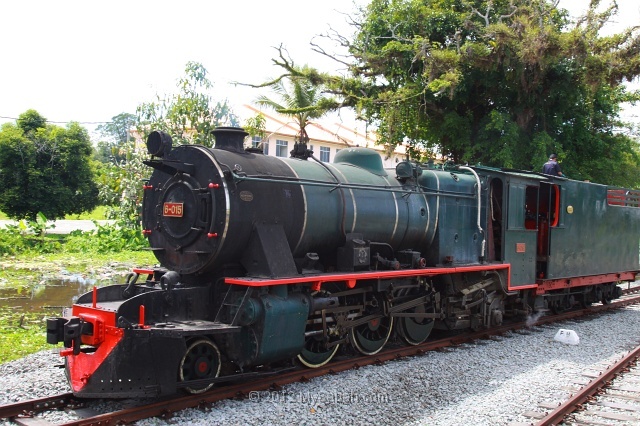 Explore Sabah on one of the few rare Vulcan steam locomotive trains left in the world that is still powered by firewood. Its vintage Colonial theme will definitely bring you back to history as you dine with traditional Tiffin local lunches while enjoying the passing scenery. Get a view of Southeast Asia in style on this luxurious Colonial train which starts its journey from Singapore to Bangkok. For a better view, head to observation car and sip on some cocktails as you savor the scenery. Bond over your love for animals this Valentine’s and take a visit to animal sanctuaries, zoos and farms! Animals have a therapeutic effect on us, and dong something as simple as petting an animal can help to lower our blood pressure and improve our emotional state . 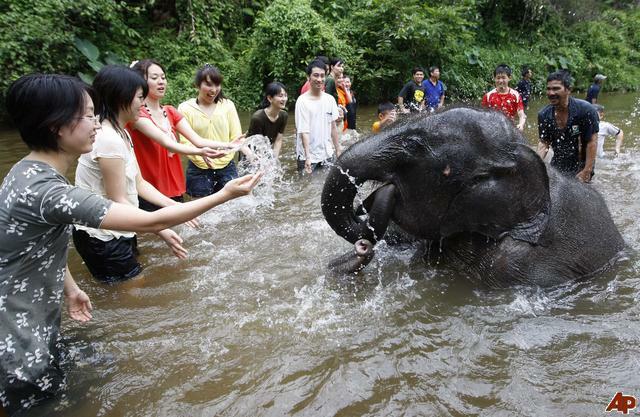 At the Kuala Gandah Elephant Sanctuary, you get to visit and feed the rescued elephants while learning about elephant conservation efforts. Get up close and personal with cute orangutans and other animals during their feeding time at 10am and 3pm at the Sepilok Orangutan Rehabilitation Centre. There are walking trails in the sanctuary too so you get to explore more of the jungle. 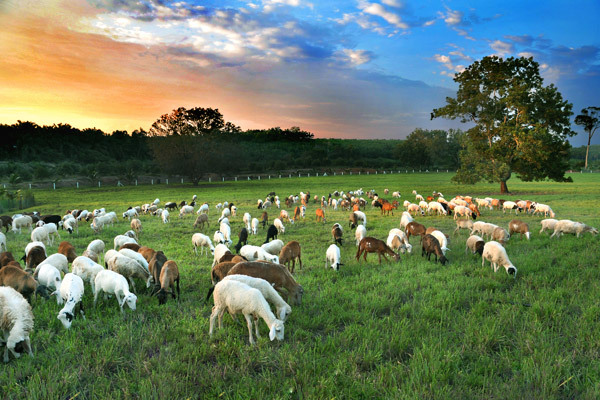 Play Heidi for a day at the UK Agro Farm Resort where you get to feed goats, sheeps, ostriches and other animals which are found in this 100-acre land. You’ll also get the inside scoop on how goat’s milk is made and a visit to the fruits and vegetable farms too. If you and your loved one would like to give back to the community on V-day, animal shelters, soup kitchens, orphanages, or any other non-profit organizations are in great need for volunteers. Did you know that volunteering can actually help lower your stress levels and make you feel happier ? Doing something altruistic together also brings out a bout of good feelings between couples. 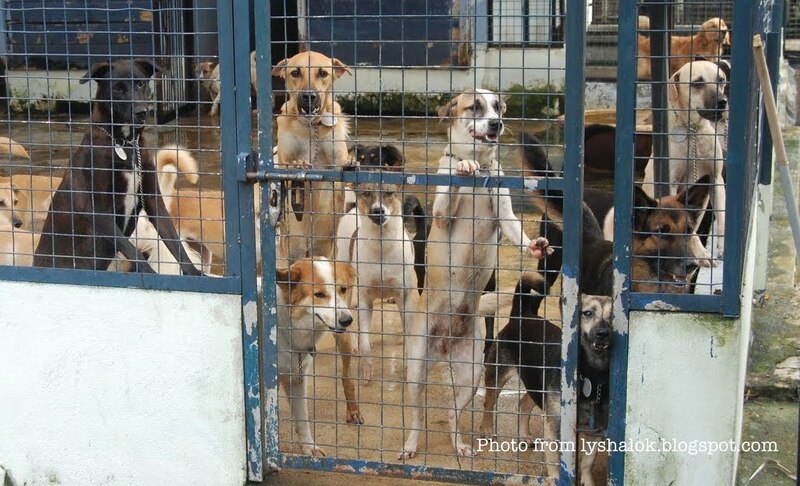 Local animal shelters such as PAWS, SPCA, MDDB and more, always need a helping hand in the form of donations and the caring of the animals in the shelter, so share some love to them on this special occasion! Help to prepare and distribute food to feed the homeless and poor around the Klang Valley by volunteering for Pertiwi, Kechara, Dapur Jalanan, The Nasi Lemak Project, and Reach Out Malaysia. 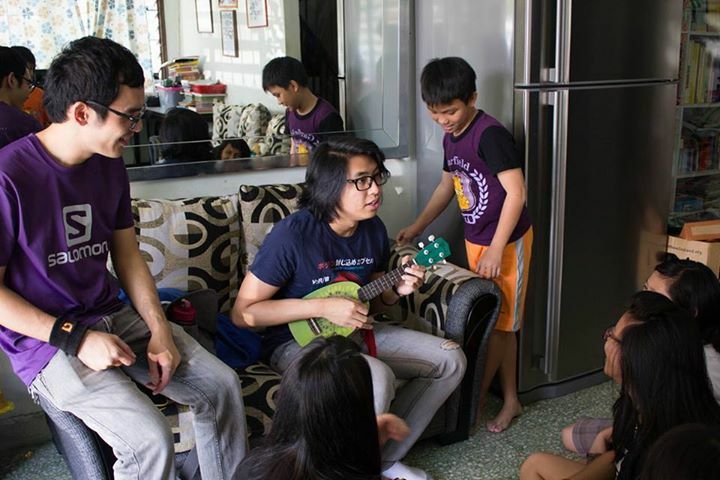 Bring a smile to the less fortunate and be there to help them to learn new skills to make their day. Visit Angels Children’s Home, House of Joy, Rumah Aman, Selangor Family Aid Association, or head to http://www.hati.my/ to search for NGOs that needs a helping hand. We hope you’ll have a wonderful Valentine’s date this year and if you do try out any of our suggestions, do share your experiences in the comments or on our Facebook page! We can’t wait to hear all about it!